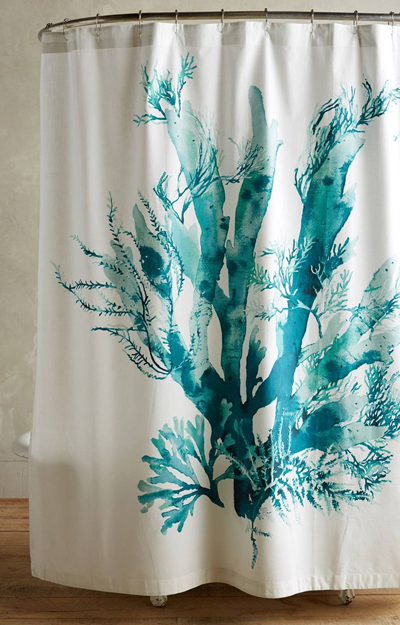 This stunning Gingko Shower Curtain adds a touch of seaside style to your bathroom. Made from cotton slub. $88. Buy here. 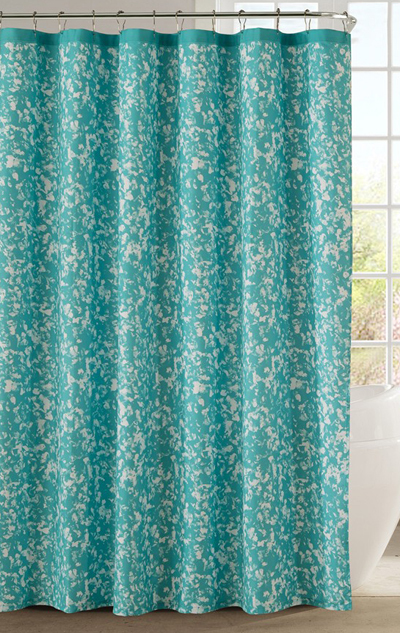 A mod distressed print defines a striking Susie Shower Curtain from Kensie designed to complement your bathroom décor. $29.99. Free shipping. Buy here. 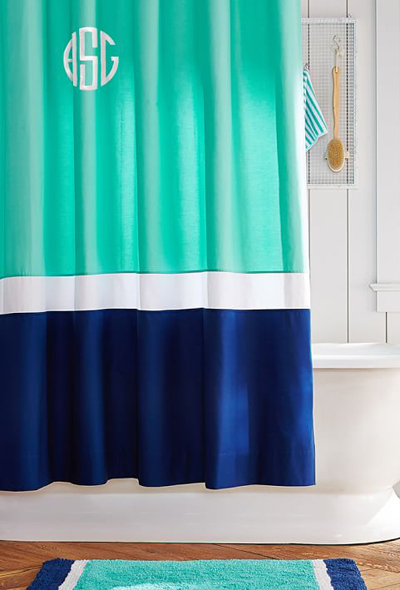 A unique tie-dye appearance adds to the bold medallion motif of the Turquoise Amina Medallion Shower Curtain, bringing an inspired pop of color to the tub. Made of 100% cotton. $29.99. Buy here. 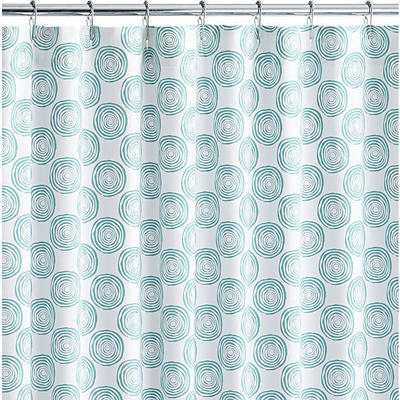 The Swirl Camo Shower Curtain features blue rings that swirl in a graphic grid of mod dots on clean white 100% cotton. Neat buttonholes top it off. $29.95 Sale $19.99. Buy here. 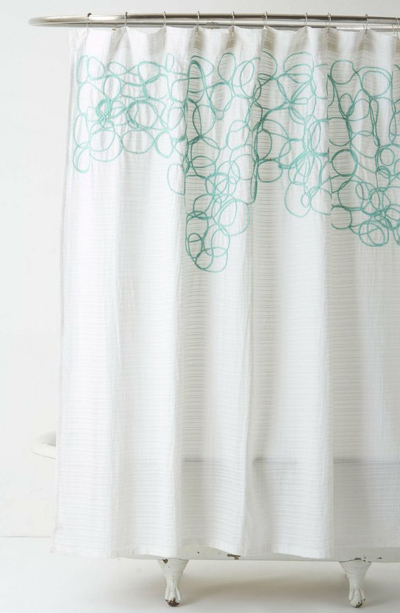 Give your bathroom a facelift with this Looped & Knotted Shower Curtain. 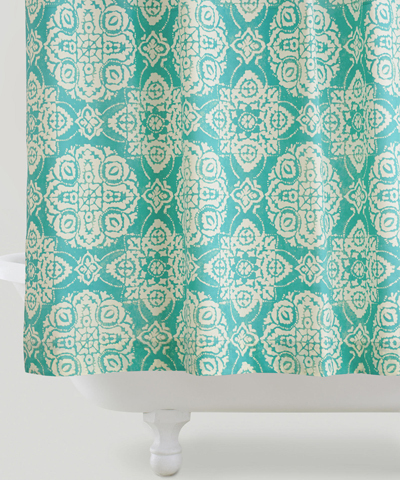 Made of breezy cotton. 72″ square. $128 Sale $59.95. Buy here.